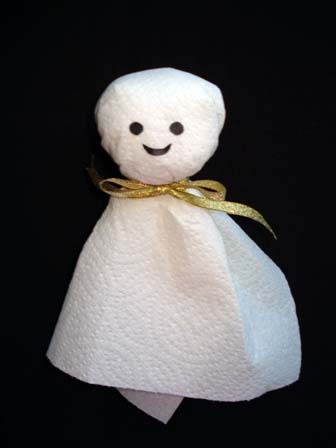 Teru teru bozu means “sunny sunny boy” and it’s a Japanese traditional weather wish doll. This doll is simply made of white cloth and cotton ball. Usually kids make the dolls by themselves and put them by windows and wish for fine weather. Especially when they have plans to go out and have fun! 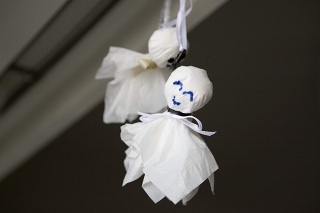 Making Teru teru bozu is so easy. 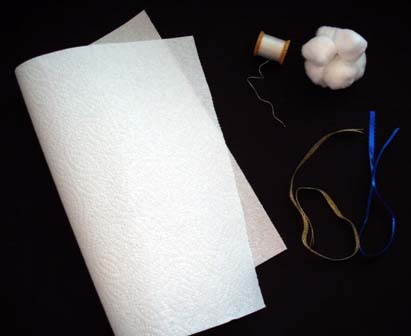 Prepare a square cut of white cloth, some cotton balls and string. You can use whatever you have in your house, like kitchen towel, paper, or tissue instead of cloth and cotton balls. Just put the cotton balls in the cloth and tie with the string. And don’t forget to draw a happy face on it!